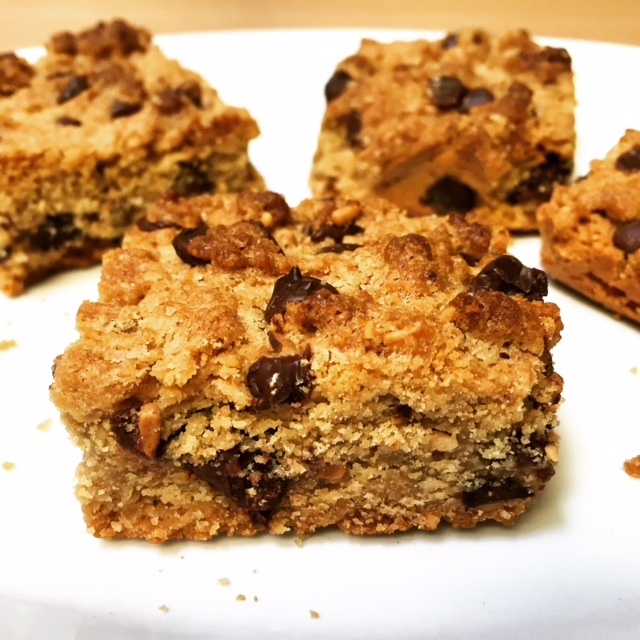 Chocolate Chip Cashew Butter Bites! I’m loving all the nut butters at the moment and my fave are from Meridian – totally natural so a little less guilt involved. The cashew butter has a slight sweetness anyway and you can use coconut oil instead of butter if you like – and if you wanted to be even more healthy you could try a sugar substitute like liquid stevia or something… just mess around with the quantities. 1. Preheat the oven to 180 degrees and line your baking tray. Go with a small enough brownie style tin. 2. Melt your butter / coconut oil, then in a large mixing bowl whisk it together with the brown sugar. Add the eggs and vanilla extract and mix until well combined. Using a large spoon add the cashew butter and mix well. 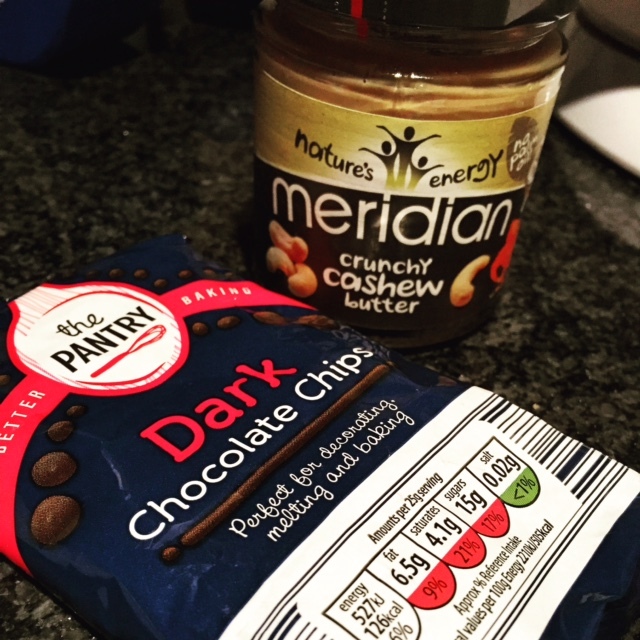 This is the cashew butter I used – I love Meridian products! 3. Sieve in the flour and baking powder then add the choc chips and mix again. 4. Evenly spread the dough in your baking tin and bake for about 20 mins. 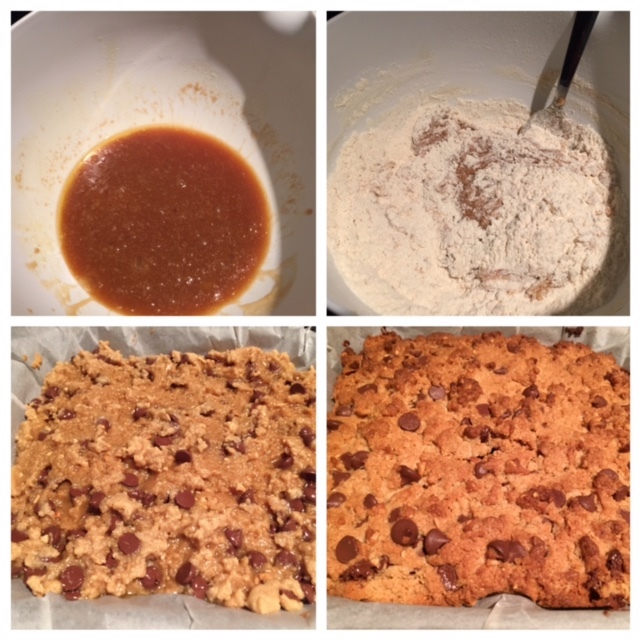 I slightly overdid mine so they were pretty crunchy – but still tasted great! Let them cool for an hour or two then cut up ready to eat!